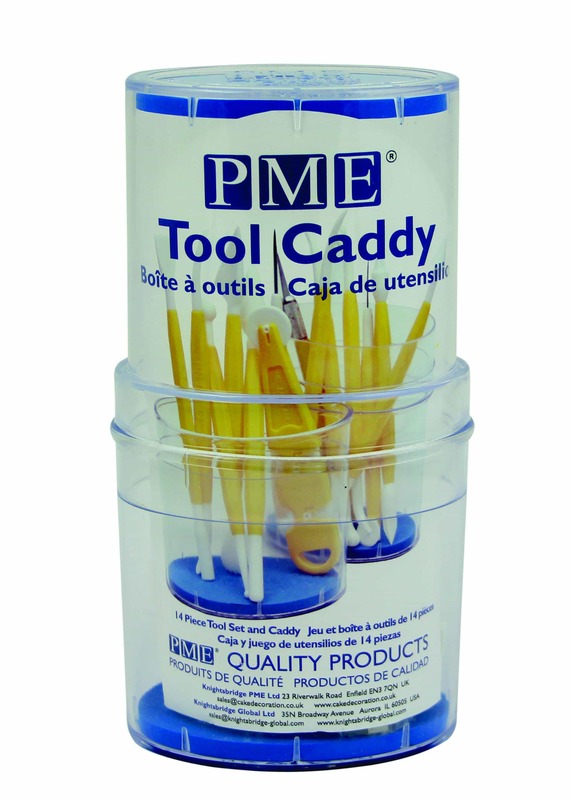 The PME Tool Caddy Set contains 14 tools. 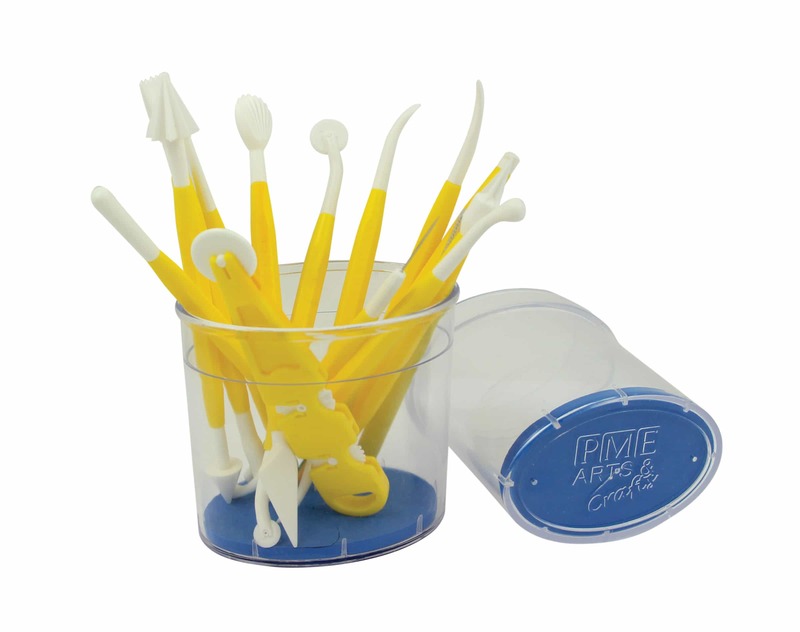 This handy caddy hygienically stores all of the hard wearing plastic tools that are brilliant when adding detail to sugar flowers, models, cakes, cookies and all other crafty creations. The caddy includes the bone tool, blade and shell tool, ball tool, scallop and comb tool, serrated and taper cones tool, scriber needle, thick scriber needle, taper cones 5/6 star, bulbulous tool, flower/leaf shaper, design wheeler, quilting tool, cutting wheels, sugarcraft knife, 1x scalpel blade and 1x ribbon insertion blade.